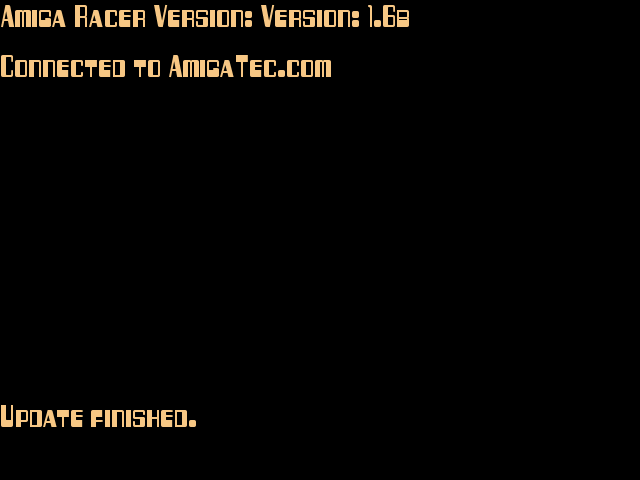 Today I am taking a look at the Work in Progress game called Amiga Racer by AmigaTec, running on AmigaOS 4.1 Final Edition on my X1000. 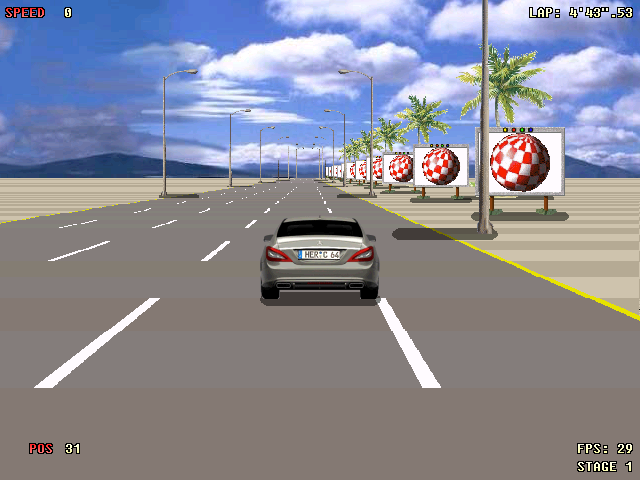 This game is a remake in the style of Lotus Turbo Challenge by Gremlin in the early 1990's on the Classic Amiga. This game is very much a work in progress, and as I write this game is running as v1.6B. 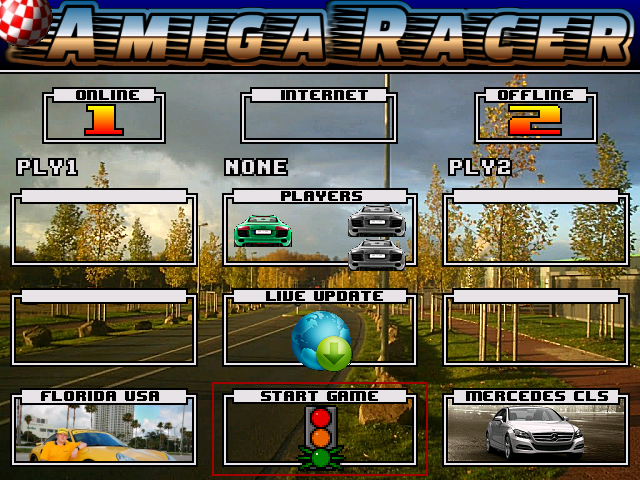 You can download the AmigaOS 4.1 version of the game from os4depot.net and also the latest version from the AmigaTec website. The main menu of the game is also in development - some parts are functional and some are in progress. 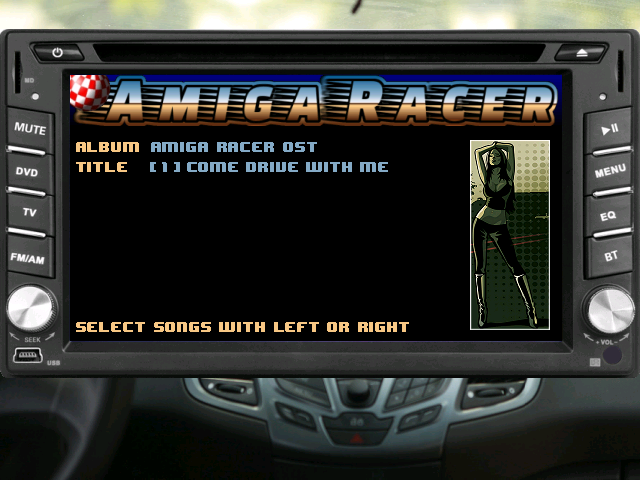 At the time of writing this entry, you can Start Game, choose from 3 tracks and choose a number of cars. There is also a live update feature which works and will update the game from the internet to reflect the latest changes. Here is the Live Update process after it has just completed. As the game starts it is a curious blend of Outrun and Lotus! The music is great. A lot of work has gone into the graphics used on the tracks to take advantage of the greater capabilities of the X1000. At the same time it retains the look and feel of the original Lotus game - still feels a bit like Outrun to me! You can also press "F" to make the game run in full screen, or press it again to return it to run in a window. 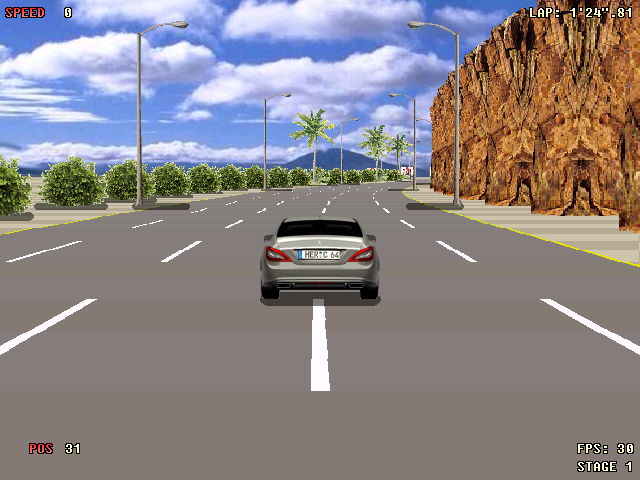 On the car front you can choose from a Mercedes CLS, Delorean, Porsche 911 or Koenigsegg. 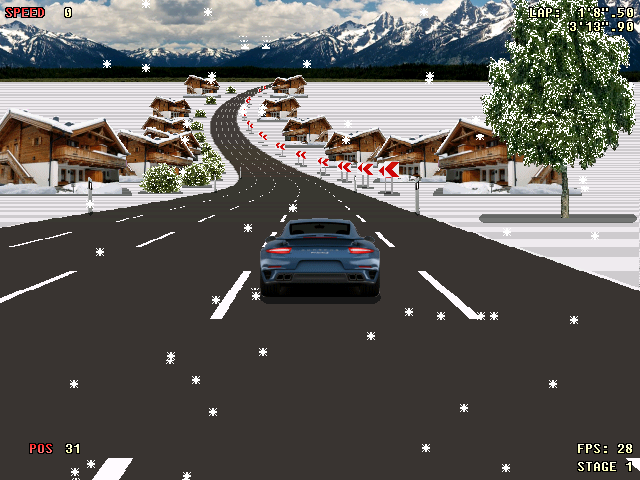 Florida USA is the default track, but you can also choose Bavaria, which has a snow landscape and Xmas theme tune even! It is certainly nice to be able to select from some interesting music - no doubt more to come! I think this looks great! 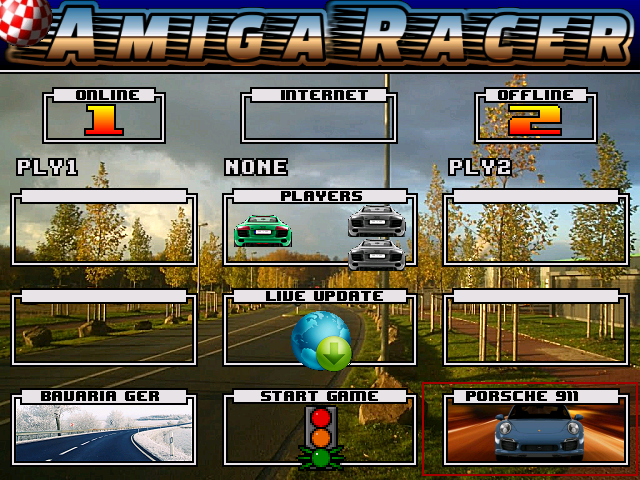 Amiga Racer as a game is incomplete at this stage, with plenty of work still to go. Please be aware of this when trying it out. 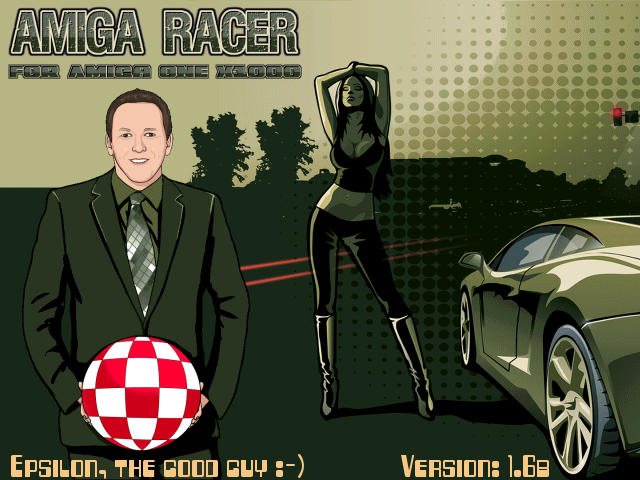 But if you are interested to download and follow along as the game is developing, then Amiga Racer is interesting to muck around with! I have donated and have been enjoying the ride so far!